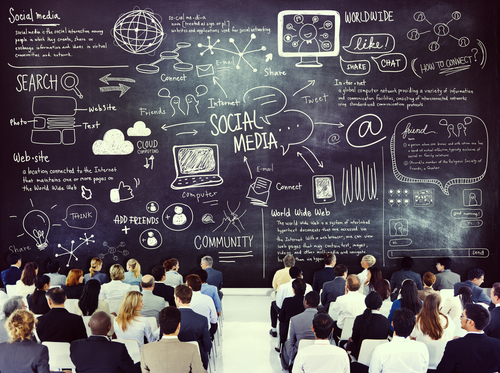 How Can Social Learning Benefit Your Company? In yesterday’s Advisor, we heard from Randy Emelo and Becky Simeon, PhD, about the movement toward social learning and how it has dramatically changed corporate learning. Today, the positive effects of social learning systems. Emelo and Simeon offered their tips at the HR Tech Conference, held recently in Las Vegas. Emelo is president of mentoring and collaboration software company River; Simeon is director, HP Global Performance Management. Please rate your satisfaction with the open mentoring program. Because of the open mentoring program, I have become more effective at my job. The mentoring program demonstrates HP’s commitment to provide career options and opportunities. I would recommend the finance open mentoring program to others. For mentees only, please rate your satisfaction with your mentor(s). After finance implemented the program, Simeon says, other units wanted it; it was the strong business case that made it an easy sell. While you’re thinking about social learning, consider this: are your employees well-trained for an emergency? Gun violence is an unfortunate reality, and HR must be diligent in protecting workers before an incident happens. How to get there? Fortunately there’s timely help in the form of BLR’s new webinar—Active Shooter in the Workplace: How to Respond with a Survivor’s Mindset & Limit Consequences. A "RUN HIDE FIGHT: Surviving an Active Shooter" poster. This program has been approved for 1.5 credit hours toward recertification through the Human Resource Certification Institute (HRCI). Join us on December 11, 2014—you’ll get the in-depth Active Shooter in the Workplace: How to Respond with a Survivor’s Mindset & Limit Consequences webinar AND you’ll get all of your particular questions answered by our experts. Get your (and their) specific phoned-in or emailed questions answered in Q&A sessions that follow the presentation.